If you're considering the 2019 mfr_brand] 180FB then you need to stop in and see us at National RV Detroit! 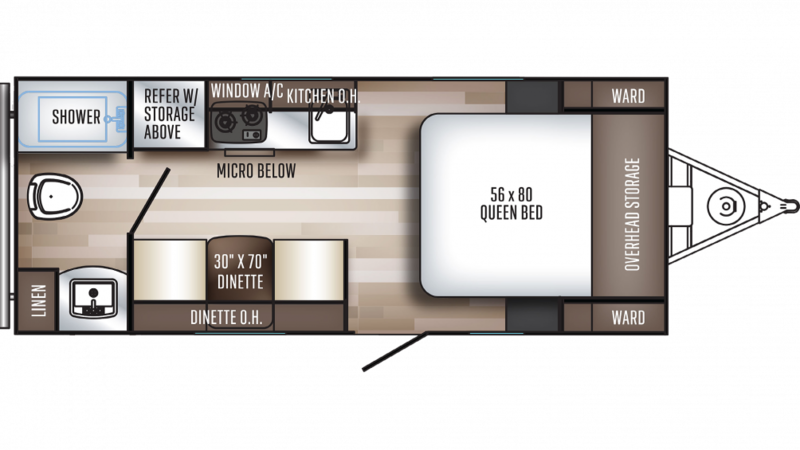 As one of Michigan's top RV dealers, we carry all the top brand RVs - including this great Travel Trailer - at wholesale prices! We're conveniently located at 44700 N I 94 Service Dr Belleville Michigan 48111 and our friendly, knowledgeable sales staff are RV experts! Don't live in the Belleville area? No worries! With our fast, reliable delivery anywhere in North America, you can give us a call at 734-439-3400 and have the 2019 Palomino PaloMini 180FB at your door in no time! You'll save $1000s!